Homemade: Yellow bean pasta with seafood. Offering an array of handmade pasta dishes, all crafted with colourful ingredients, MyDeli in Ha Noi is a perfect spot for aficionados of Mediterranean cuisine. Make sure to come back and try them all. 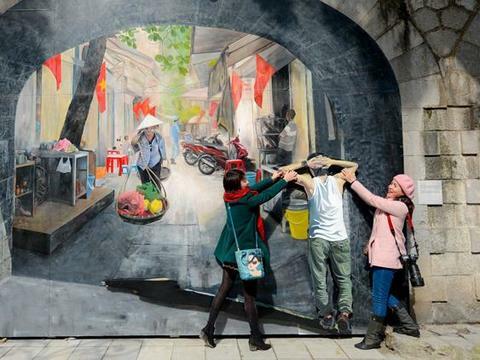 Minh Thu reports. As a fan of Italian cuisine, I have enjoyed must-try dishes such as Carbonara and Bolognese pasta at many restaurants in Ha Noi. 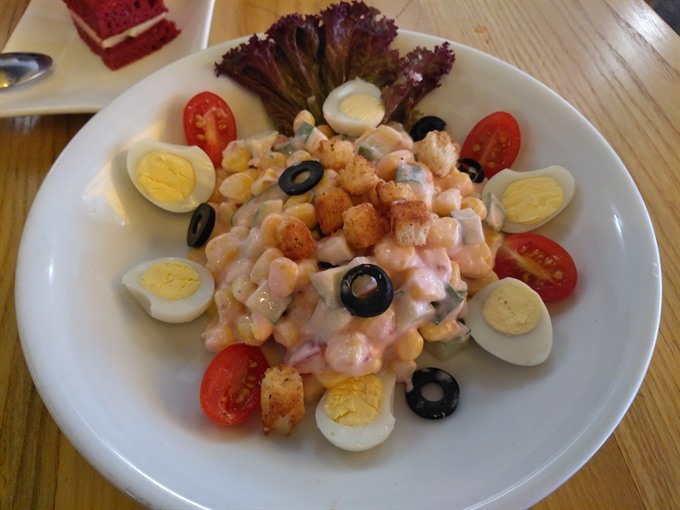 When I visited MyDeli restaurant, I was again reminded of fresh Italian flavours. With colours made from taro, yellow bean, squid ink, and pandan leaves, the owner puts a new twist on the familiar linguine. The dishes appear on the table with five colours – purple, yellow, black, red and green in creamy sauces. I have returned to MyDeli many times to try all the dishes on the menu. It’s hard to resist the extraordinary colours and attractive plates of pasta. The ‘Alla amatriciana’ pasta is the cheapest (US$3) but worth a try. It’s a rustic mix of chunky bacon and heaps of tangy pecorino, with a light, sweet tomato sauce to coat long strands of pasta. A little bit of wine is added to give the dish a rich aroma. Squid ink pasta was my last choice as I thought it would be too fishy. I was initially scared at the thought, but my fears were eased at the first bite. In this dramatic Italian dish, fresh seafood is cooked in a creamy sauce. What adds both a tangy sea flavour and a deep black glow to the dish is the squid ink added to the dough. 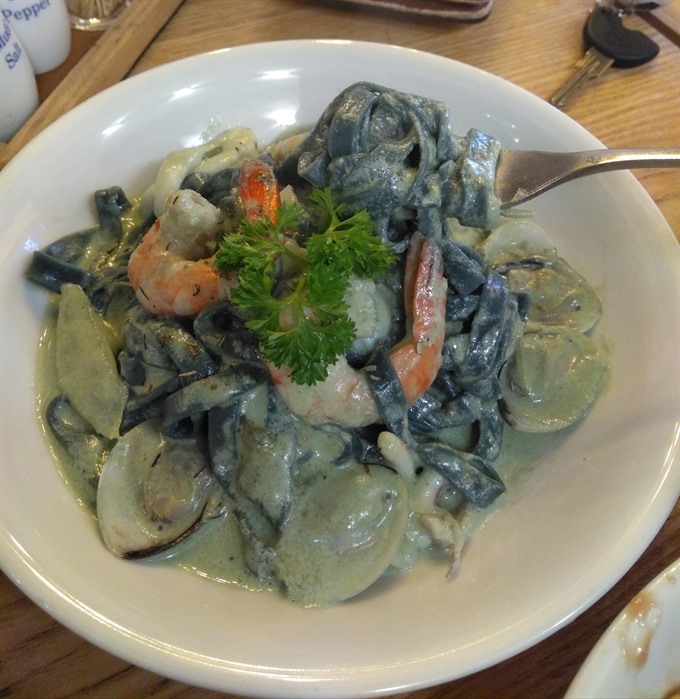 The squid ink is taken from fresh squid and mixed into the dough so that the pasta itself is jet black. 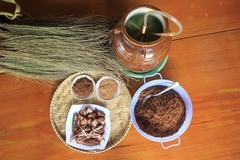 It’s very interesting and definitely a culinary adventure. While I feel safe with Bolognese and Carbonara, I want to move on to things that are more extraordinary and daring. MyDeli makes my experience even better when the chef serves my favourite dish that is not available on the menu. Aglio e olio is one of the most simple yet most satisfying pasta dishes on the planet. 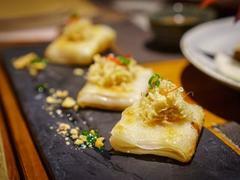 But it is actually absent from menu of the Italian restaurants in Ha Noi. Sometimes I find a restaurant where the dish is served but it’s often expensive. Once I asked the owner of MyDeli about this dish. He smiled and agreed to make a portion for me. I heard a story that it’s a peasant dish, created by poor farmers who had nothing but the most basic of ingredients on hand. So the made-to-order aglio e olio appears with homemade yellow bean pasta, extra-virgin olive oil, fresh garlic, red pepper flakes and chopped fresh parsley. The chef added bacon to the dish as a luxury. 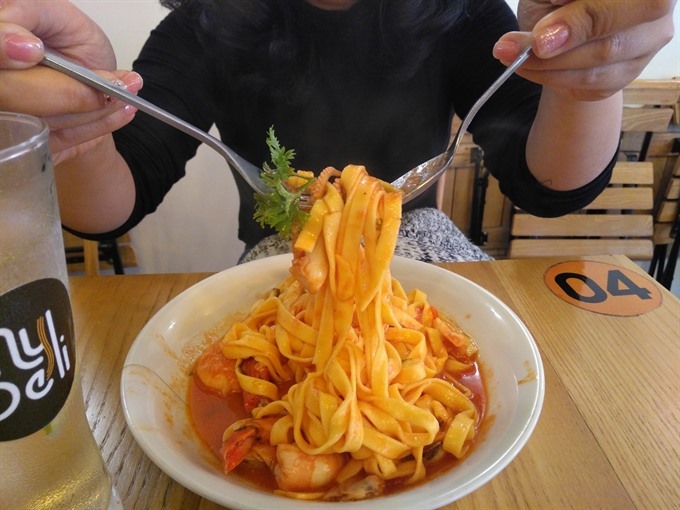 Nguyen Huong Thao remarked that MyDeli is an ideal place for young people because the price is affordable, especially for homemade pasta. "The pasta dishes aren’t just a feast for the eyes, they are also healthy because fresh homemade pasta doesn’t contain preservatives," she said. With so much protein on offer from the pasta and pizza, a salad is needed for a little balance. There are three options – a green, salsa salad with strawberry sauce, a garden salad with chicken and a farfalle tuna salad. They are all based on traditional ingredients like rocket, olive, tomatoes, boiled eggs, lettuce and Parmesan. But each one has a different key factor. 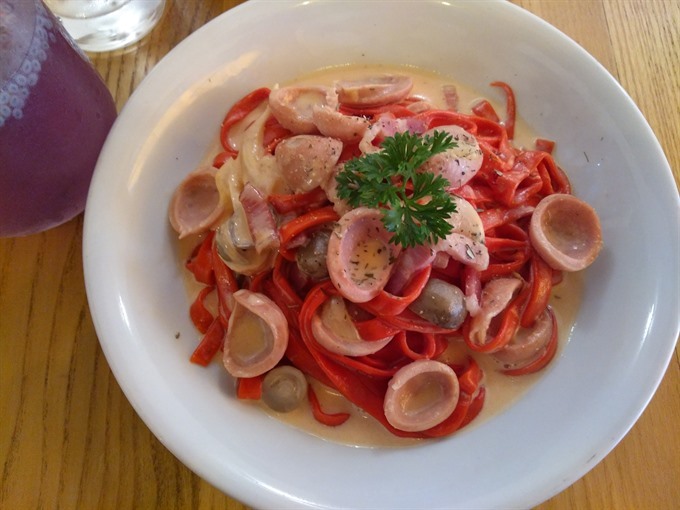 Bright dish: Red pasta made with sausage. Healthy option: Nutritious salad in strawberry sauce.